When you think of tattoos, what do you usually imagine? Is it the old school black and white or greyscale tattoos? [post_ads]Or you do think of the traditional tattoos that are quite colorful but always stay within the lines? Or perhaps you think of silly tattoos of cartoon characters, or maybe your mind immediately jumps to images of Chinese dragons. The point is, there are a lot of tattoo styles, but most of them do require harsh lines. 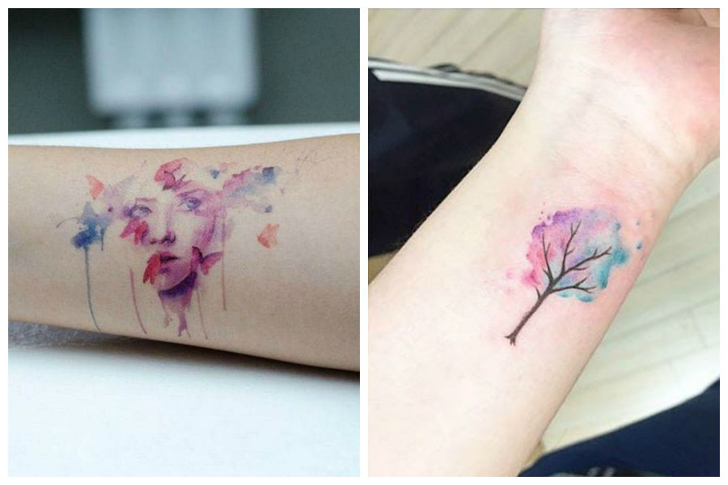 But there’s a style of tattoos that doesn’t – watercolor tattoos. 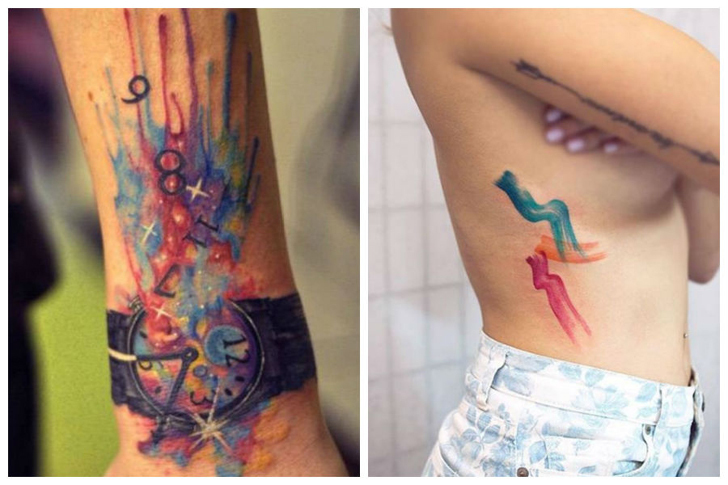 These tattoos look much softer and, as the name suggests, they look like they’ve just been painted on by watercolors. 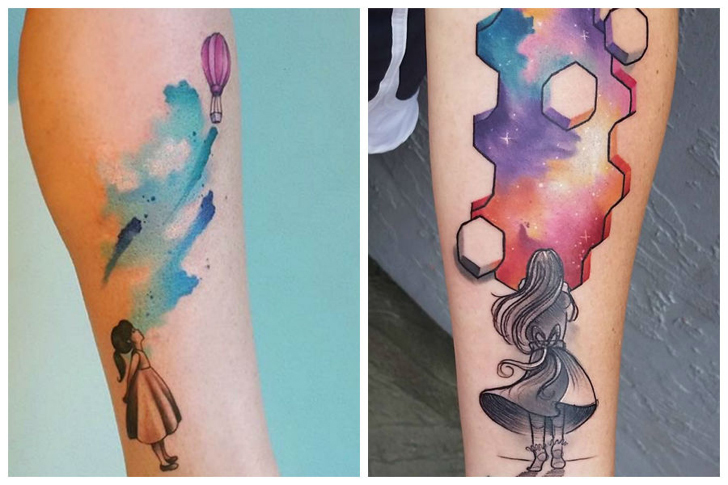 So let’s take a look at some amazing examples of watercolor tattoos. 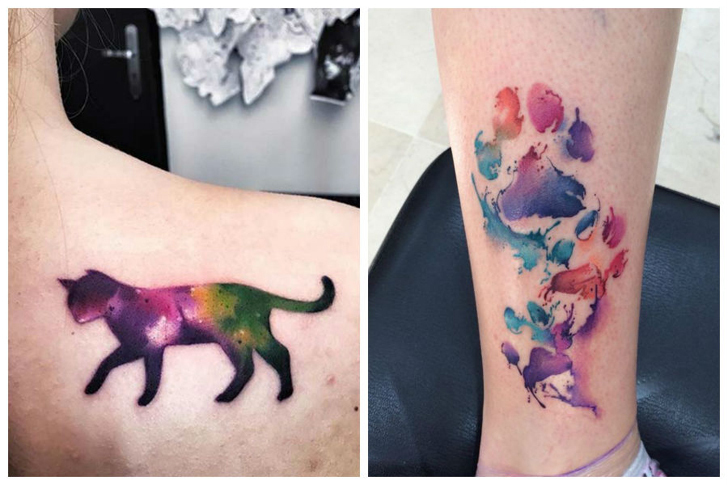 Here’s a great example of how you can combine your love of cats and watercolor tattoos. Aren’t those little paws just the cutest thing you’ve ever seen? 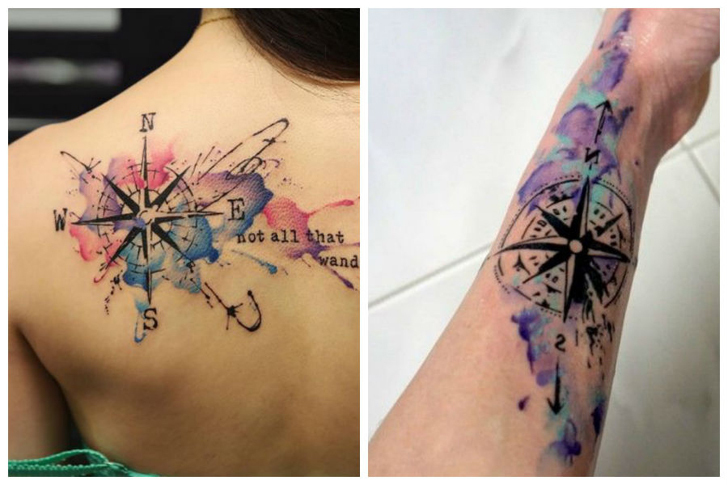 If you love traveling, a compass is always a great idea, and adding a splash of color makes it look even more exciting. 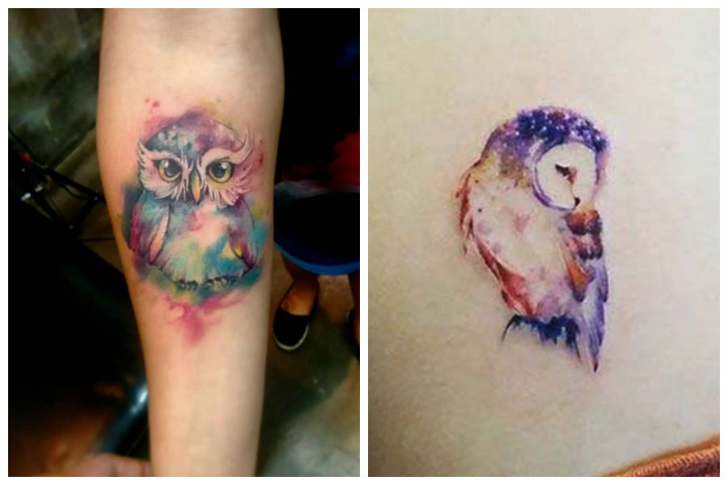 Here’s two variations of watercolor owl tattoos. As you can see the first one is more cartoonish and hazy, while the other one looks pretty realistic but with an artistic touch to it. This is a great idea for creative people. The watch can represent that you don’t care about time as a concept and that being an artist is more important. 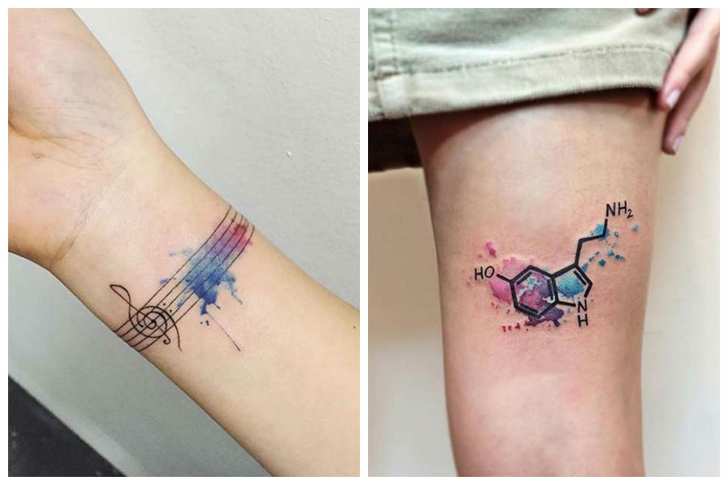 The picture on the right is a great tattoo option for painters who don’t mind treating their body like a canvas. Another brilliant idea for those who love travelling. All the colors represent how exciting and different our world really is. 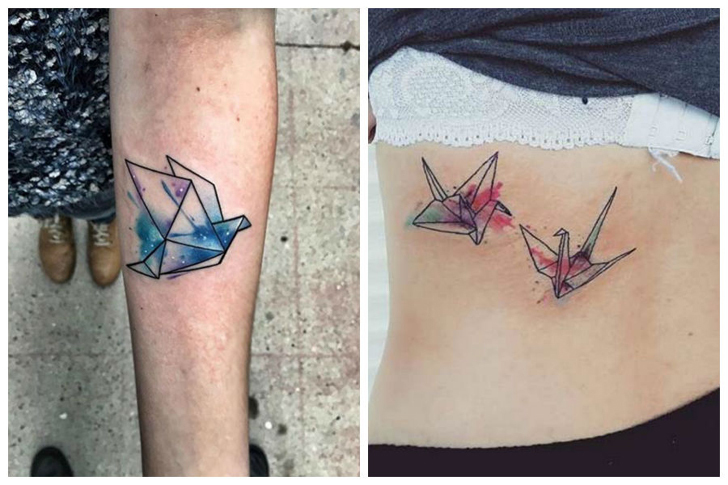 Combining watercolor tattoos with geometric lines always looks incredible. I mean, just look at these paper cranes. 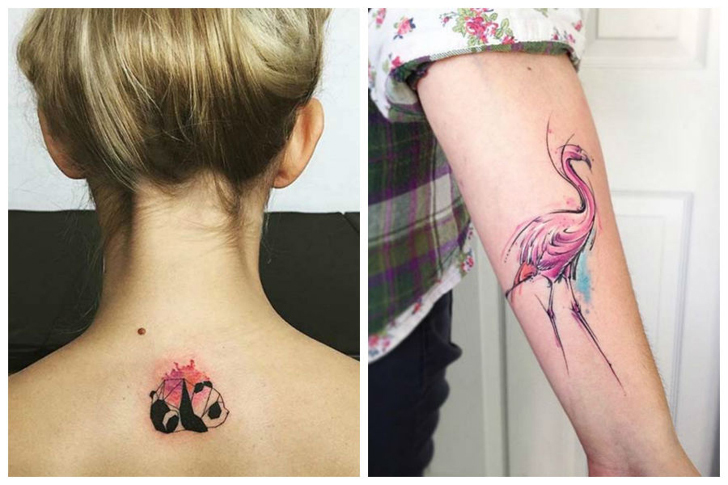 Perhaps you’d like to get your spirit animal tattooed on yourself? That panda looks freaking adorable, and who doesn’t like pandas? 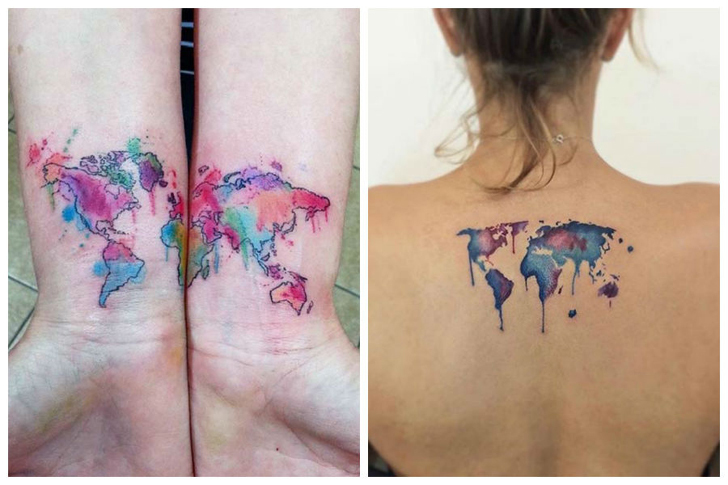 Watercolor tattoos are great at filling in backgrounds and making the tattoo stand out. 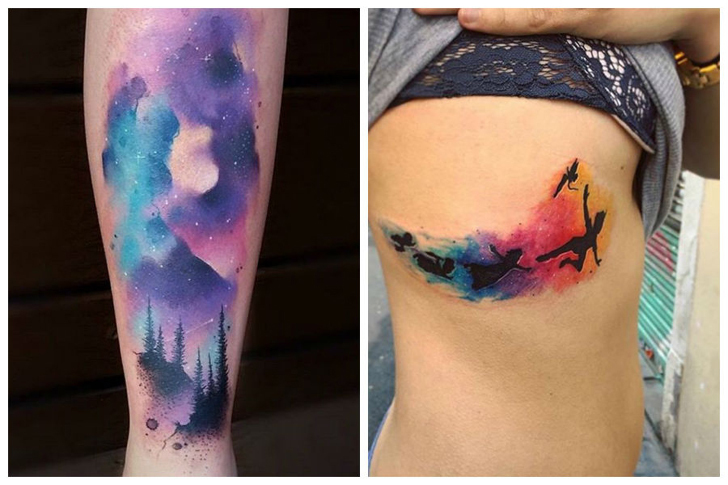 You can probably easily imagine both of these tattoos as just black, only the outlines, and they’d still look cool, but the watercolor background certainly adds some flair. Flowers look especially soft and elegant when done in the watercolor style. Who said tattoos can’t be girly as hell? 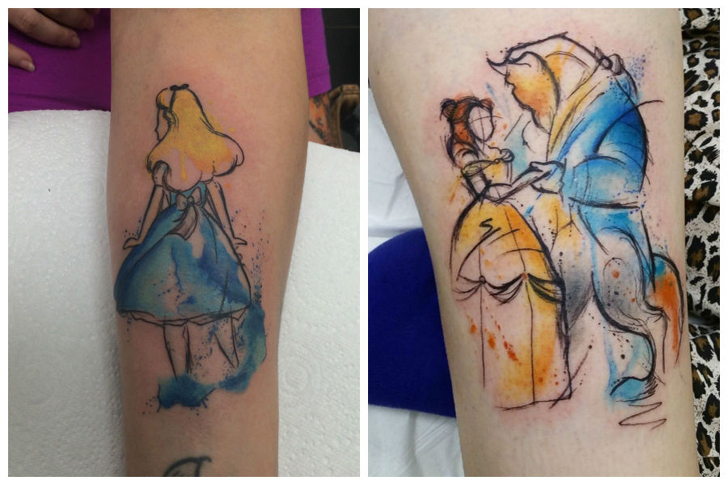 You can also incorporate your profession or passion into your watercolor tattoos. For example if you’re a musician the option on the left seems perfect for you. If you’re a scientist – the option on the right looks pretty rad, doesn’t it? 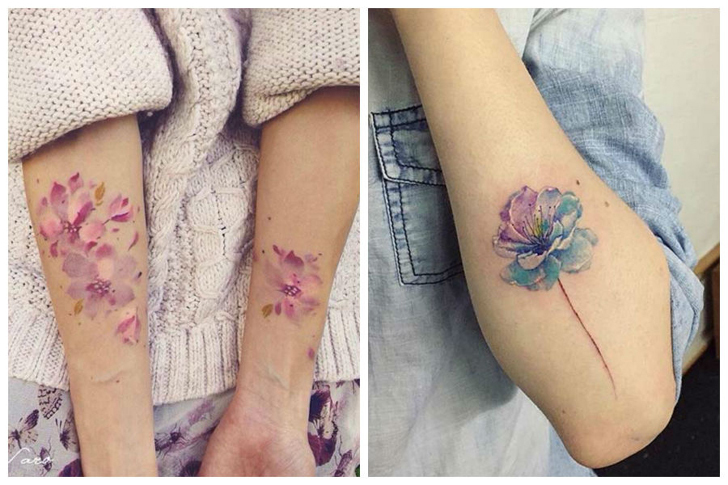 Here’s another example of watercolor tattoos looking especially soft and elegant. Having trouble visualizing your inner world into a tattoo, how about this colorful watercolor version of a beautiful creative vision. Disney fans will appreciate these incredible sketches filled with splashes of watercolors. 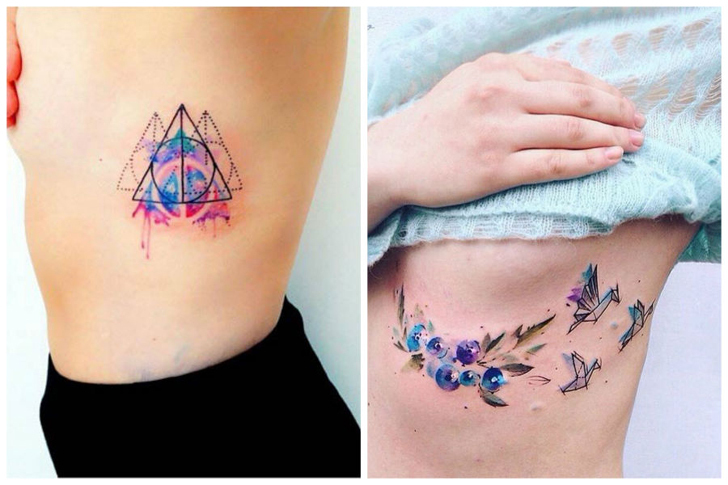 Don’t these tattoos look just amazing to you? So colorful and bright, yet still gentle and feminine in their nature. 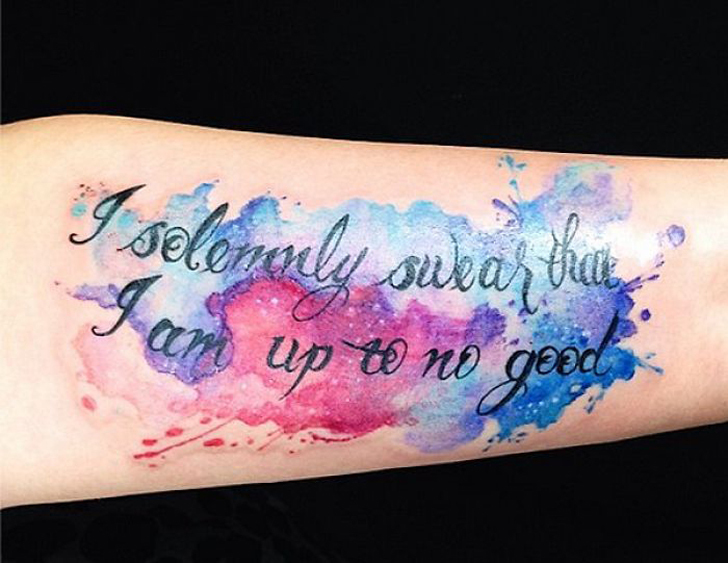 And who said you can’t incorporate some watercolor into your Harry Potter tattoo? The splash of color does a great job at representing the magic of the Harry Potter world.